A culture of high employee development is the most productive environment for both your business and your employees. 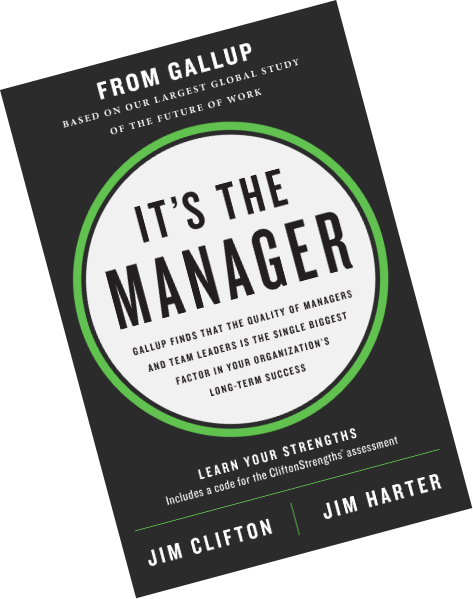 Preorder your copy of Gallup's new book It's the Manager or sign up to get an exclusive preview before it's available for purchase. The traditional role of a boss is command and control. But that doesn't work for today's workforce. Millennials and Generation Z want team leaders who can coach them, who value them as individuals and as employees, and who help them understand and build their strengths. How your managers lead their teams has to keep up with how people work, live and want to experience their lives. Equip your managers with 52 of Gallup's greatest discoveries from decades of research with It's the Manager.